By Bob Secter, Kiannah Sepeda-Miller on Sunday, July 22nd, 2018 at 6:00 p.m.
Democrat J.B. Pritzker has taken considerable grief in recent days over a fact-challenged TV ad attempting to link an investment of Gov. Bruce Rauner with President Donald Trump’s controversial border policy that separated migrant children from their families. As media reports point out, and Rauner’s campaign eagerly agrees, there is a lot the Pritzker ad gets wrong about the Republican’s ties to a company called Correct Care Solutions. For starters, the company holds a federal contract to provide health care services at immigrant detention facilities, but not those for children taken from their parents as the spot implies. Yet some aspects of the ad critiques are murkier, and it is Rauner who holds the ability to clear things up but won’t. Pritzker, who like his Republican rival is a wealthy investor spending freely on politics, similarly opts to keep voters largely in the dark about his finances. In the ad, Pritzker attacks Rauner for "profiting off Trump’s policies…(as) an owner of this company that’s been paid millions to help keep children separated from their parents." The phrasing seeks to leave the impression Rauner is pulling the strings at Correct Care and lining his pockets in the process. That may be overreach, but records filed with federal regulators on May 10 by GTCR, the private equity firm once headed by Rauner, indicate that as governor he retains the ability to influence a nearly $3 billion investment fund that is an owner of Correct Care. To understand why that is so requires a trip down a complicated paper trail and the arcana of high finance. The GTCR investment pool in question is known as Fund X, with the X representing the Roman numeral for 10. The GTCR filing with the Securities and Exchange Commission carves up Fund X into a compilation of sub-funds of varying values and bearing alphabet soup names such as GTCR Co-Invest X LP, GTCR Co-Invest X/A/V LP, GTCR Fund X/A AIV LP, and GTCR Fund X/C AIV LP. More than half the assets in Fund X are held by sub-funds registered in the Cayman Islands, a Caribbean tax haven. Also identified in the GTCR filing with the SEC is a corporate structure called GTCR Management X LP, described as a "relying advisor" that "sponsors or manages" the sub funds. The filing lists Rauner among the owners of Management X LP with a partnership stake of between 10 percent and 25 percent. He is also identified as a "control person," defined by the SEC as someone with the power to direct management policy. When we reached out to Rauner’s campaign, a spokesman, citing the governor’s handpicked personal investment advisor, minimized Rauner’s role with Fund X as one of an "indirect investor." But the filings from GTCR tell regulators he is positioned to influence, and profit from, the firm’s position in Correct Care. There is a lot at dispute that can’t be gleaned from the SEC documents: the size of Rauner’s stake in the entire Fund X, the size of that fund’s holdings in Correct Care, whether the privately held company turns a profit or whether any earnings have begun flowing to the governor. The answers to many of those questions likely lie in Rauner’s income tax returns. But since launching his first campaign five years ago, Rauner has refused to make public anything but bare bones information contained in the two-page cover sheets for returns voluminous in size that could shine a clearer light on his finances. Pritzker has been equally unforthcoming with his tax information, even in the face of unproven accusations from Rauner’s campaign last winter that the Democrat had been "personally profiting" through financial ties to a controversial oil pipeline project opposed by environmentalists. Christopher Mooney, a state politics expert at the University of Illinois’ Institute of Government & Public Affairs, said it’s likely ultra-rich politicians like Rauner and Pritzker would fear releasing tax return details because they could unearth aspects of their financial history that opponents would use against them, even if doing so would debunk a specious attack. "There's going to be things [in their tax returns] that are not attractive when they're put in a campaign commercial," said Mooney, referring to elite tax breaks and investments that could turn off voters but are common to top earners. "People don’t make that kind of money by handing out roses to everybody." Pritzker can’t substantiate his claims about Rauner currently profiting off Correct Care. Rauner won’t release private tax information that might clear things up. Rauner couldn’t substantiate his claims about Pritzker’s oil pipeline holdings. Pritzker didn’t release data in his possession that might put that to rest. 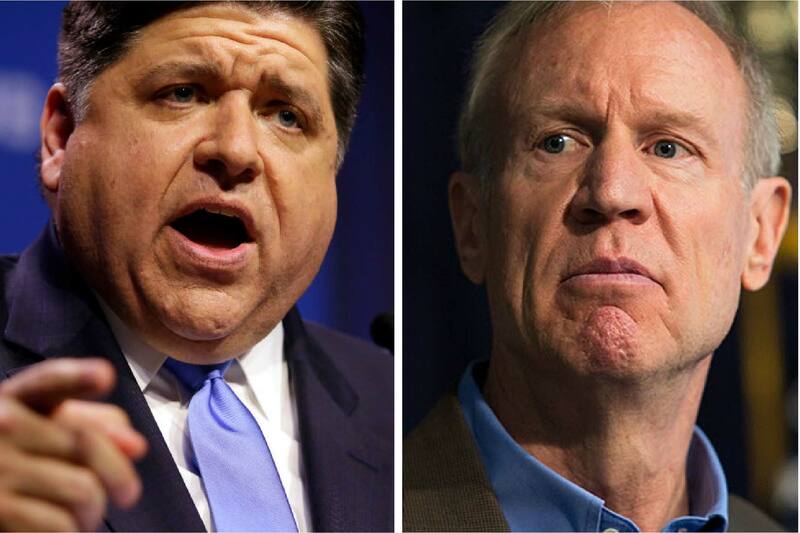 For all their differences, it would seem the multi-millionaire and billionaire vying for Illinois governor this year have reached an undeclared truce when it comes to transparency about the vast personal wealth that underpins their campaigns. Or, as Mooney put it, "They’ve sort of neutralized each other in the sense that neither one of them can go on and say, 'he’s a big rich fat cat who doesn’t know you.’"